BHP RIBBONS OF STEEL Curator and project development collaborator for over 50 projects (26 with steelworkers) to commemorate Newcastle’s BHP Steelworks closure in 1999. In closing operations in Newcastle BHP did so with little or no compensation to the local community and escaped the huge burden of cleaning up the site to green-field standards. Funded by BHP & the Australia Council for the Arts and the NSW Ministry for the Arts. REFLECTIONS Collaborator with people from culturally & linguistically diverse backgrounds with a psychiatric disability who took photos and developed them for an exhibition at Newcastle Region Art Gallery in 1999. Funded by Carnivale & Accessible Arts. INITIATION Sculptural work at Ourimbah incorporating plants propagated, and beds designed and planted by Morriset Hospital forensic clients and Community Environment Network, 2005. 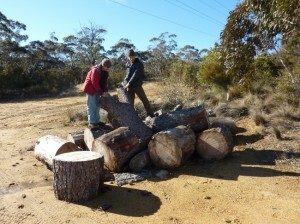 Funded by Gosford City Council with in-kind support from Gosford Quarries and Organic Matters. Change requires transition that is expressed in the various archetypes of initiation described by Jung as submission, containment and liberation. They all share elements of self-surrender (submission), and elements of secrecy and withdrawal based upon some sort of death (containment). This ritual has a sorrow about it that is also a kind of joy – an inward acknowledgement that a type of dying also leads to a new life (liberation). In 1997 access to Newcastle’s cultural precinct was not possible at the adjacent train station. CityRail was shamed into providing a ramp within two weeks for the opening of this project. Use of the Disability Discrimination Act was untested at this time and legal processes in this area were considered protracted and complex. LEARNING THE ROPES Students from Green Square (behavioural) School learnt crewing skills from the Tribal Warrior, an Indigenous owned and crewed boat involving pathway programs to mainstream education, Sydney 2007. Funded by Australians Working Together. As Australia moves forward with an understanding of the global importance of sustainability from social, cultural, economic and environmental perspectives the Blue Mountains community stands poised to take advantage of this. The high number and concentration of artists and environmentalists makes the City a nationally significant creative centre that with better support can make greater impacts on the quality of life for locals. Integrating sustainable initiatives with a renewed focus on the high number of national and international tourists to our highly popular world heritage park will assist with this task. This project was developed in partnership with key external stakeholders and requires support across Council so it can be implemented successfully. The project makes explicit the links between cultural development and broader agendas including urban development and regeneration, economic and employment development, and environmental sustainability. Diverting wood and green waste from tips to reuse this resource, creating local employment and a model of sustainability is at the core of this project. Components of the project are high value growing niche markets that support aspirations of sustainable living, which is a priority outlined in Council’s Sustainable Blue Mountains 2025 policy. The program’s group is currently developing a non-profit governance structure exploring other successful models such as the woodworking collectives in Bristol and Brighton in the UK, and Marrickville’s Cultural Precinct with its signature re-use centres of Reverse Garbage and the Bower. 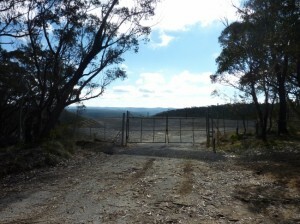 As part of the set-up phase and because the preferred site of the former Blackheath Tip is unavailable at present, the group requests access to part of the Katoomba Waste Management Facility to conduct a pilot program to store, cut, cure and sell wood so the key program can be established. The former Blackheath Tip is the group’s preferred site for the longer term because it provides the largest opportunity to create a multi-use precinct enabling a critical mass of diverse and related networked activity. This site will ensure a guaranteed long-term commitment because of the crossovers with the existing and potential natural tourism at the site and the capacity for the project to be developed in a staged approach. Development of this aspect of the project will form phase two. As part of the preliminary planning phase several environmental and woodworking community workers (mainly local arborists and builders/carpenters) have been meeting to discuss a woodworking cooperative that could be developed into a successful social enterprise simply from cutting, storing, curing and then selling wood from trees that is normally mulched for wood chips, dumped at tips or in the bushland, or pushing the storage limits of local businesses. Fifteen local tree-lopping businesses are listed below that would be interested in this opportunity. The centralised activity at one site would attract interest from builders, carpenters / cabinet makers, hobbyists / artists and gardeners. The program involves managing the local suburban private and public trees to sort felled timber into categories: lumber for building, lumber for cabinet/furniture making, off-cuts for toy making and turning, off-cuts for fire wood, and woodchip/mulch. New businesses could be spawned in specialised products such as warre beehives, insect houses, chook houses, supporting structures for gardening (greenhouses from recycled wood/glazing), fencing, landscaping, furniture, sustainable house building materials, etc. The City’s strong tree surgeon/arborist industry report five local portable saw mills which means that value-adding of the wood resource is already happening – albeit in a small way. The City’s felled trees currently end up as woodchip or firewood at best. Localising the wood (re)source for sustainable building and furniture making, as well as fire wood (see below), would revitalise all the wood working trades – supporting the growing interest in sustainable building and inspiring locally made wood products for sale to the community and tourist market. This value-adding of local wood resource counters the felling of tropical rainforests for the highly industrialised and mechanised building and furniture markets that have massive carbon footprints. Local products made from local resources sold locally will strengthen the local economy, helping to create bioregional resilience in the face of national/global financial and environmental collapse. This phase further develops the core activity undergoing continuous improvement at the Katoomba Waste Management Centre by transferring it to the former Blackheath Tip site and expanding the focus in several niche areas. This proposal draws from successful precinct projects such as the Centre for Education and Research in Environmental Strategies (350,000 visitors a year) in Melbourne, an ex-Council tip that is now a demonstration site for permaculture, alternative technology and rehabilitation of derelict land. It is the aim of the project if the Blackheath site is secured to ensure every design solution and creative opportunity is taken with consideration of the possibilities of what can be reclaimed from the tip – including methane gas for electricity production. International models to draw from include Ufa Fabrik (Berlin) that uses ecological principles to develop built environment facilities and attractions that include best practice eco-design and power generation, and arts and cultural activities including events, markets, education and permaculture. 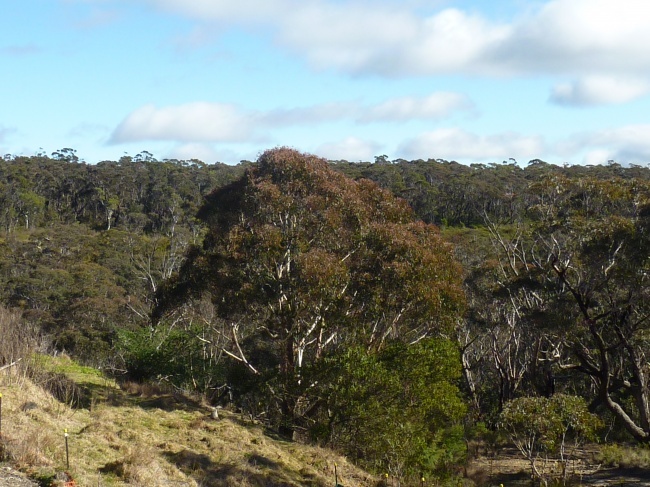 Eco-tourism: Opportunities provided by the site include eco-tourism aspects relating to the adjacent hanging swamps and the spectacular bushwalk or bike ride out to Hanging Rock, including the cycling opportunities in the local environs that in the future can include the recreational and commuter possibilities of the proposed Bike Trail. A bicycle hut will include buying, selling, renting and repairing opportunities with over 30 bikes already donated to the program.Also community food gardens, local grower/farmers markets, local school/TAFE projects can add to this tourist attraction. Items made using local timber through techniques such as wood-turning can be available for sale on site or sold to local retailers. Eco-building: The eco-building industry in the City can be further enhanced through this venture that can provide new cultural tourism opportunities through eco-architecture tours, which are already being conducted, to sustainable houses up and down the Mountains. Innovative bee friendly hives (bee warres): a growing niche market given Australia is the best country in the world for honey yields (95L per hive compared to 15L in France). The chook tractor / portable cage program: will complement the region’s highly popular Slow Food chook tours and talk programs that attract high audiences. Around 80 people attended each of the sold-out tours last year. Native bird and bat box making/sales: would prove highly popular as conservationists are aware there are not enough hollows in trees for nesting habitats both in the Blue Mountains and Sydney urban areas. Emulating the wider reuse focus of Marrickville Council’s Reverse Garbage and the Bower will prove extremely popular for renovators and artists. A re-use program would complement the “new wood” resource program to manage wood and other resources taken from old houses and buildings in the City could be sorted for professional and community re-use. Promoting Gardens as sustainable design and an educational resource facility would provide considerable interest in home grown food and the care and maintenance of cold climate fruit and nut trees. Biochar could be produced for soil by partially burning green waste (turns to charcoal) that not only assists with storing carbon in soil, it provides a slow release of nutrients into soil. This could be done in 44 gallon drums and sold. Creative Industries Education and Training: Apart from this training being important for the development of skilled artists so local stories can be told and appreciated within the City and nationally, creative industry training is critical to the future of the City. The generation of wealth in the new economies depends on the production of innovative services and experiences driven by ingenious ideas and creative processes within working communities. This precinct program can provide the critical mass of activity to broker education provider partnerships so that TAFE and university courses can be re-introduced to the region. These will assist with the divide between the traditional and contemporary forms of cultural production that need to be bridged through technology and training, and by developing cultural entrepreneurship from the grass roots up. As the hard infrastructure of the precinct grows with the support of key partnerships with TAFE NSW and others there is an opportunity to increase the trades people and apprentice numbers in the City through partnerships. Workshops in all aspects of sustainable living will attract people from all over the region including the Sydney metropolitan area and further afield which will boost tourism numbers in the Blue Mountains. Local community training participants will be better able to access contemporary forms of popular culture and new forms of creative expression leading to a greater sense of community connection whilst improving literacy and creative skills. They will learn how to take creative ideas and transform them into viable, functional and marketable products and better (and not necessarily more expensive) traditional crafts and contemporary art products that will improve ways of living. Provides a possible source of revenue from fees for wood waste being deposited, reduced chipping costs at Katoomba Waste Management Centre and income from sale of value added wood products. Assist with making it a sustainable economic initiative – assistance with finding and writing grant applications, etc. Peter Shenstone – former director of Planet Ark Blackheath, Clive Heywood Barker – ecologist flora and weed species expert, Andrew Moody – woodsman/arborist with portable saw mill, Scott Spring – builder with portable saw mill, Jason Dash – mud brick builder, Gary Caganoff and Katerina Szuminiska – Permaculture Blue Mountains, Wayne Levi and Brian – local permaculturists and educators. Local Tree Contractors All of these businesses would use the Centre to recycle tree waste: Angophora, Tree Services, Gecko Tree Works, Aussie Professional Tree Services, Arbor Work, Scott McKinnon, The Tree Surgeon Professionals, See The Light Tree Lopping, Riverlands Tree Service, R.J.s – Blackheath, Mick Morrow – Blackheath, John Lang Rolly’s Tree Service, Andy Tree Man, Lester Clark, Scott Spring, Able Saw Milling, Total Tree and Stump Removal. Blackheath Neighbourhood Centre, Permaculture Blue Mountains Inc., Blackheath Community Gardens, Fruit and Nut Tree Network, Bicycle NSW, Wood Turners Group, Woodworking group (lower mountains), Mens’ Shed (upper mountains), Blue Mountains Conservation Society, Blue Mountains Food Cooperative, Transition Blue Mountains. 1/ solar passive heating. When the winter sun is low its rays are able penetrate the north east, north and north west windows of dwellings to warm up these rooms, saving both heating costs and energy consumption: providing dwellings are well insulated and indeed have windows on the northern side. Dwellings are usually built to face the road which could be north, south, east or west. This is bad design where the solar aspect is completely wasted. 2/ With rooftop PV solar generation systems becoming popular and set to become a major generator of electricity in the future. Northern rooftop aspects need to be clear of trees that cast shade over solar panels.Both of these needs can be easily and adequately provided with the removal of tall evergreens to the north east, north and north west of the dwelling and replaced with not so tall growing deciduous trees. Trees that provide shade in the summer with their leaves but in winter let the sun through when their leaves have fallen. Also less tall trees to blanket the roof in shade. It is recommended that these deciduous trees be fruit and nut trees which provide fresh food for a continually expanding Blue Mountains sustainable community. These deciduous trees can also act as fire retardants. The wood felled from the northern aspects can be utilised by the proposed wood working co-operative as woodchip, lumber or fire wood, as per main proposal. As an aesthetic aside, opening up of the sunlight to dwellings will lift people’s energy and attitude from dark depression to the joy of living. There will be a collective psychological uplift for the better; particularly in the upper mountains where there are many over shadowing radiata pines that make places cold, dark and damp. Pittosporum eugeniodes, Pittosporum ralphii, Pines, cypress pines, Cotoneasters, Holly, Rhododendrons, lemon-scented gum, Queensland silver wattle, Cootamundra wattle, other non-native wattles, African olive – from western Sydney.Win/Win – reducing / eradicating invasive species and using them.